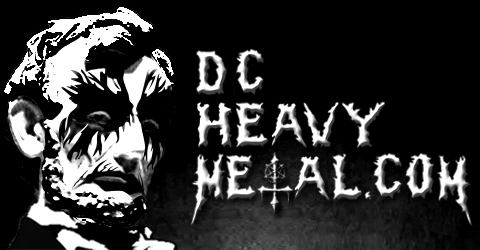 This blog specializes in heavy metal music and how it relates to Washington DC and the surrounding area. Featuring info on upcoming metal concerts in Washington DC, Baltimore and Virginia, as well as info on local bands, area concert venues, reviews of live gigs, and lots of give aways. 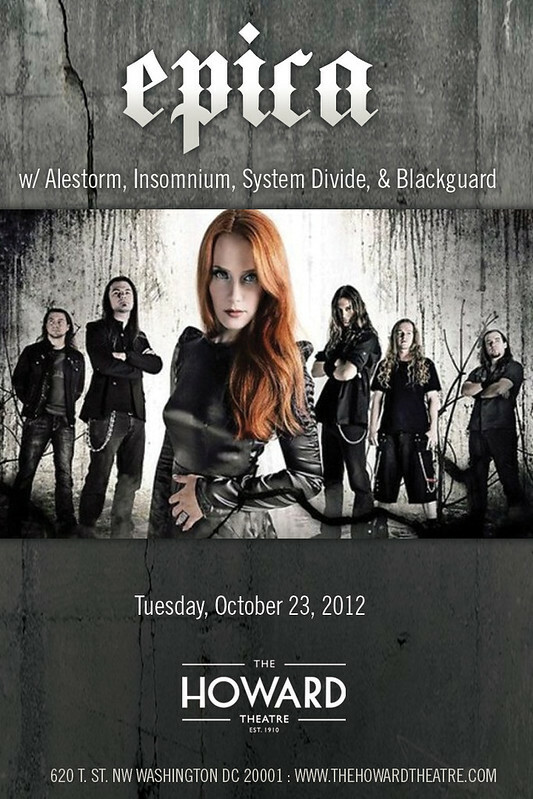 The Dutch symphonic power metal band Epica will be playing the Howard Theatre in Washington DC on Tuesday, October 23rd and you can win a free pair of tickets to this show here on DCHeavyMetal.com! All you have to do to enter is give me a good reason why you want to go to this show by leaving a comment at the end of this post and at 5pm EST on Friday, October 19th I’ll pick one winner at random (using Random.org) from all the valid entries to win the tickets to this killer show. Be sure to enter with a valid email address you check regularly so I can contact you if you win. If I don’t hear from you in 24 hours then I’ll pick another winner to get the tickets. Don’t worry, I won’t add you to any email lists or anything like that, I hate spam too. If you enter more than once then all of your entries will be disqualified. If you simply can’t wait to see if you win the contest you can get tickets from Ticket Master here for $23. Don’t let redhead Simone Simons’ good looks fool you, she’s not just up there to look pretty. She can really sing and Requiem For The Indifferent, their album released earlier this year, is definite proof. I’ve posted their latest music video below so you can listen for yourself. This will be the area’s first chance to hear any of Epica’s new material live and I’m sure they’ll play some older classics as well. There are several other bands on this tour as well including Alestorm, a pirate themed metal band from Scotland. Insomnium is a melodic death metal band from Finland with some very heavy riffs. System Divide is a band with members from Europe, the Middle East, and various parts of the US including their guitarist, Steve Miller, who area metal heads will recognize as the guitarist for local death metal band Loculus. The opening act is Blackguard, an up and coming epic metal band from Montreal, Canada. That’s a hell of a line up coming to the Howard Theatre, a new venue with great sound in DC that is just around the corner from the 9:30 Club (and just as easy to get to). So check out the songs below, one by each band playing, and tell me why you want to be at this concert! Yep, that's me in some corpse paint. So grim & frostbitten, haha! Enter your email address to follow this blog and receive notifications of new posts by email. No spam, just alerts to new posts.